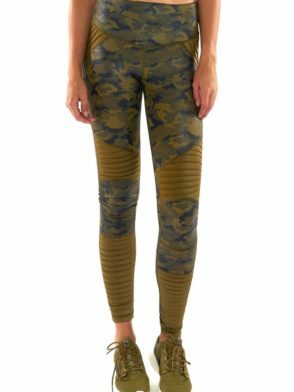 Try our Colcci Fitness Leggings USA Alexandria, VA. Women workout clothes from BFB Activewear USA, and you’ll feel like you’re still in bed dreaming that you found the perfect Women workout clothes. Our Women gym clothes do away with all the chafing and binding, for silky soft gym pants, tops, sports bra tops and other Colcci Fitness Tops – Women athletic gear that pulls off the impossible. Our Women gym pants and tops are made of fabric so comfortable, they soothe when you pull them on, but these workout clothes are also durable so you never have to worry. Our Women gym tops and pants can do-it-all, from downward dogs to pumping iron to kickboxing up a storm in cardio class. Finding flattering Women workout clothes is easy when you stop shop at BFB Activewear USA. We have Women gym clothes that are designed to fit real Women bodies, not just models. In addition to our Women gym pants, and short and long-sleeve tops, we also have workout bra tops that support your every move. Our fitness clothes are made of High-Grade Supplex Lycra Fabric and other blends that move and stretch with you, whether running on the treadmill or taking a Zumba class. Put on Colcci Fitness Capris Women gym clothes from our collection, and let the dreaming of greatness become a reality. Women workout clothes are ideal for the gym or for just running around town. Slip into Colcci Fitness Leggings Women gym clothes first thing in the morning so you are ready to squeeze in a workout on a moment’s notice. With Women gym pants or gym tights, get sleek coverage that will hold in heat and keep out moisture. Colcci Fitness Leggings, women gym tops and workout bra tops feature many styles and colors to coordinate with many of our other Women workout clothes. From top to bottom, Women workout clothes have Women covered in silky soft fabrics that breath and wick with your every move. Wear Colcci Fitness Leggings Women gym clothes to bend, stretch, lift, run and ride your way to your best workout. Pair Women gym pants with workout bra tops, and tanks for warmer-weather workouts. Our Colcci Fitness Leggings gym tops offer support and convenience for Women workout clothes you’ll love to live in them.